I have a non-custom Rolin and I am awaiting a custom Rolin to be delivered any day now...they are freakin' awesome gloves, no doubt about it. I am not familiar with the other Mexican brands. PM JCglovesUSA. He is a rolin dealer and he will be able to answer all of rolin related questions. Geat guy the deal with too. I can get you a custom Hawk glove, at the same quality or better than other brands $135.00 and it takes about 6-8 weeks for delivery. Last edited by Raton3 on Sun Sep 16, 2012 9:47 pm, edited 1 time in total. Last edited by JCglovesUSA on Sun Sep 16, 2012 8:33 pm, edited 1 time in total. For you to say that is just plain wrong, because we're not making $150 profit from each glove like you with the Rolin brand, and the money we get actually goes to the pocket of the people who makes the gloves and have a family to feed. Would have been easy for me to sell Rolins too but I don't feel right overcharging people for a glove. HawkBB and I were just giving options, and bashing us with a comment like that is bad business attitude. I most certainly did not "bash you". You are welcome to have your opinions about the Rolin brand. I have plenty of satisifed customers that are very pleased with their Rolin gloves, and, with my service in helping them select the options they want. You are the one who has now bashed Rolin. I suggest that you remove or edit your previous post. Yeah right, I believe that your previous comment wasn't full of that new thing called "sarcasm" right? I stand by my post (I won't delete it), I can put one of our glove besides yours and nobody can tell yours is better quality. You have the biggest Mexican brand, but you cannot claim to be the best. That would plain ignorant. The biggest glove makers is Rawlings, but that does not make them the best and as of lately not even close to the best quality..
Be a man and stand by your post or just just the heck up.. He said nothing about the quality (or lack there of) of any brands. JC just made a general statement. HawkBB and molina have both made comments specific to Rolin gloves. I do not see the need for people to get offended by someone saying, "you get what you pay for" especially after hawkBB openly compared hawk and rolin. I also did not see JC making any claims, just a generalized statement. initial post was changed.. I was wrong to name any other company on my initial post, but that does not give the right to somebody trying to insinuate that our gloves are junk and thats the reason they are cheaper.. I am not going to get into a "war of words" with you. I stand behind the Rolin products, and believe they are a great value for the price. This opinion is supported by feedback that I get from my customers. For clarification, I do not own Rolin. (I wish I did!) I am merely a distributor/dealer. As a seller of gloves, you know very well that profit margins are very tight. 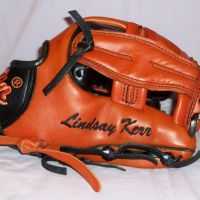 I doubt that any glove dealer is making a profit of $150 per glove as you stated in your original post. The money I pay Rolin for the gloves most certainly goes into the hands (and mouths) of Mexican families. As a point of clarification, the price of $185 for custom Rolin gloves includes shipping and customs fees, both which must be paid on gloves imported into the US.